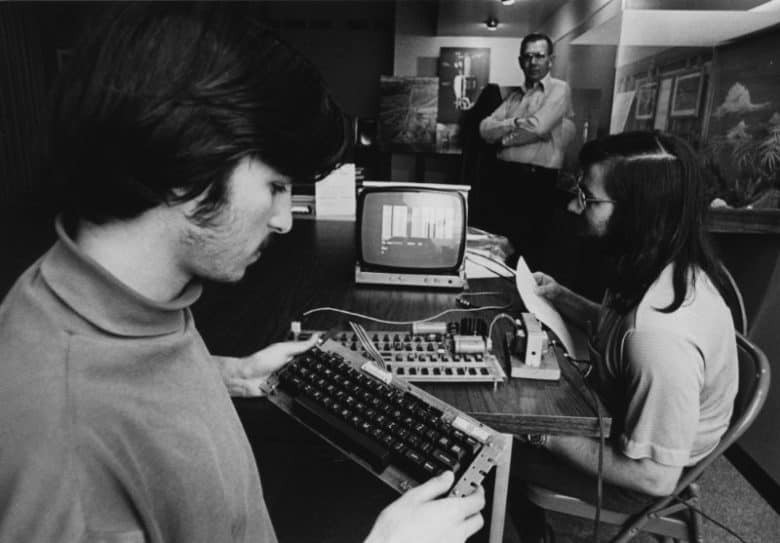 Homebrew Computer Club founders Fred Moore and Gordon French held the first meeting in their garage. At the time, the arrival of a kit computer called the Altair 8800 was the hot news in the tech world. The Altair kick-started the boom in personal computers and inspired a generation of techies. Wozniak was far more of a prototypical computer geek than Jobs (and I say that in the nicest possible way!). Consequently, Woz got more deeply involved with Homebrew than his Apple co-founder. Woz attended the very first Homebrew meeting and became inspired to build his own computer. “I did this computer … to show the people at Homebrew that it was possible to build a very affordable computer — a real computer you could program for the price of the Altair — with just a few chips,” Wozniak recalled in his autobiography. In the end, Jobs convinced Woz they should build and sell the Apple-1 rather than giving away the designs. This ultimately led to Jobs negotiating a deal with early computer store The Byte Shop. The rest is history. As for the Homebrew Computer Club, it ran for the best part of three years, moving from the garage to the larger Stanford Linear Accelerator Center. The club come to an end in 1977, the same year Apple officially incorporated.